Kerrin McEvoy will ride speedy Queensland mare Houtzen in the Group 1 King’s Stand Stakes (5 furlongs) at Royal Ascot in June. The 2017 Magic Millions Two-year-old Classic (1200m) winner arrived in England last week and has taken the journey in her stride. 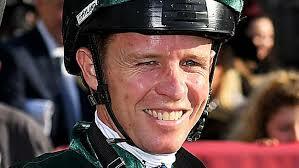 “Kerrin McEvoy is going to ride her in the King’s Stand,” trainer Toby Edmonds told Racing.com.